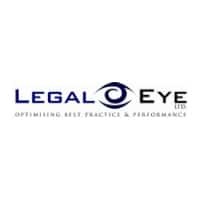 Legal Eye’s conference in Birmingham next month will feature presentations from both the Solicitors Regulation Authority and the Council for Licensed Conveyancers. Risk and compliance advisers Legal Eye have put together a packed programme of talks, panel discussions and breakout sessions to help risk and compliance professionals, COLPs, COFAs, senior and managing partners, directors of law firms and everyone who is concerned with protecting their firm from risk and in building a robust compliance framework that supports their business. Topics will include the latest on price and service transparency reforms, how to manage a claim on your Professional Indemnity Insurance, responding to cyber security incidents, mitigating risk in your will bank, preventing fraud, and the benefits of outsourcing and accreditation schemes. The conference is on Tuesday 13th November from 8.30-5.30pm and is being held at thestudio on Cannon Street in Birmingham city centre. Click here to see the full programme.